32" Air Powered Ice Hockey Table: Is Perfect Switching Back And Forth Between Sports. 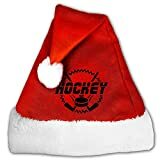 Easily Play Air Powered Hockey For Hours On End.Ideal For Any Gathering, This Ice Hockey Table Brings The Action And Excitement To Your Home, Everybody Will Want To Play. High Perfomance: The Table Features A Motor With Adapter Providing Steady Air Flow For More Realistic Air Hockey Action And A Special Surface Coating That Helps The Puck To Flow Quickly And Easily Over The Table's Surface. Suitable Size For Home Use: Measuring 32" L X 17" W X 9" H, This Air-Powered Hockey Table Is The Ideal Size For Youth And Teenage Players. Sturdy Construction: Soild MDF Construction And Full Panel Leg Supports For Additional Stability And Longevity. Easy To Use: Leg Levelers For Easy Assembly And Leveling, Includes Two Pucks, Two Pushers (Mallets) And Two Sliding Scorer For Scorekeeping, 6*5v AA Batteries Required (Not Included). This 32" Air Powered Ice Hockey Table Is Perfect Switching Back And Forth Between Sports. Easily Play Air Powered Hockey For Hours On End. Ideal For Any Gathering, This Ice Hockey Table Brings The Action And Excitement To Your Home - Everybody Will Want To Play. 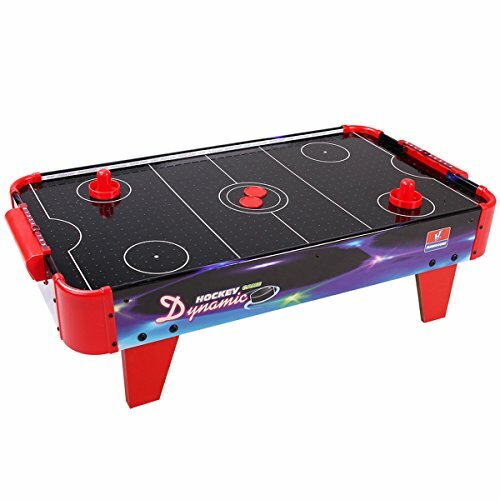 The Table Features A Motor With Adapter Providing Steady Air Flow For More Realistic Air Hockey Action And A Special Surface Coating That Helps The Puck To Flow Quickly And Easily Over The Table's Surface. Measuring 32" L X 17" W X 9" H, This Air-Powered Hockey Table Is The Ideal Size For Youth And Teenage Players. Simple Assemble is required according to the included instruction. 2.Please make sure all the connections are tightened before using. Please keep the part away with the children under 3 years old.